When you wake up from your Saturday afternoon nap at 4:30 and then read just "one more chapter" from your Spring Break read, it's hard to have time to cook dinner. That's how my husband and I ended up at Der Dutchman tonight. 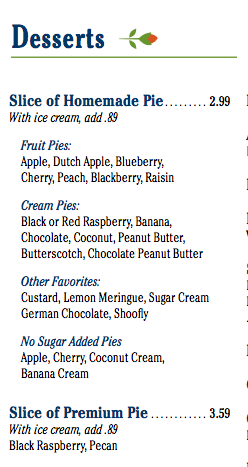 And when you go to Der Dutchman, the big question is, "Do we get pie?" Keith has not been eating carbs this week. He could do that because I wasn't home to bake cookies. So, he's been pretty successful. I have no problem eating pie by myself, so there was no pressure for him to indulge. However, when it comes to Der Dutchman pie, the man is weak. As we looked over the multitude of choices, we debated over cream pies, fruit pies, no sugar added pies. Coconut cream is often my choice because it was my grandma's favorite. But, tonight, the sign advertising the new spring pies caught my interest. "So, which pie do you think is the least unhealthy?" he asks me. "Hmmm...maybe the strawberry," I responded. "Right, it has fresh fruit." I think he was grasping at straws here. He REALLY wanted pie. "Exactly. And," I reminded him, "if you don't eat the crust, it will save a lot of calories." So it was decided. He would get the fresh strawberry (with whipped cream, of course) and I would get the rhubarb crumb pie. I wanted to try something different and I've never had rhubarb pie before. Remember, my OLW is discover. I was out to discover some new pie. Our pies arrived, looking sinfully delicious. I tentatively took a bite of the rhubarb pie. I wasn't sure if I would like it or not, knowing how tart those long red stalks are. Mmmm...it was delicious. Not one bit of tartness, which means it must have had A LOT of sugar to make it taste so good. As you can see, once we started, we forgot all about not eating the crust. It was worth every single calorie. Oh. My. Word. I am eating an orange right now (it's all there is that's sweet in the house - and I've put off grocery shopping to tomorrow) and I am SO envious! Good for you that you enjoyed every morsel, Julie! I am so busted... and full. Those pies look and sound delicious. YUM! My favorite is Boston Creme Pie. Fortunately (and unfortunately), I can't find a good one around here. But trust me, I could pack one away on my own if it was the right one. Glad you had a delicious night! I love strawberry pie and that one looks delicious! When it comes to pie - who counts calories! My mouth is watering. I love Lemon Meringue. I'm so glad you included the pictures. I cracked up when I saw that strawberry pie. I'm sure there was no calories in that. I like to think that if you drink water while eating something high calorie, it dilutes the calories. I'm pretty sure that's right. By the way, I love your word! I think I need to come visit so you can take me to Der Dutchman Julie. 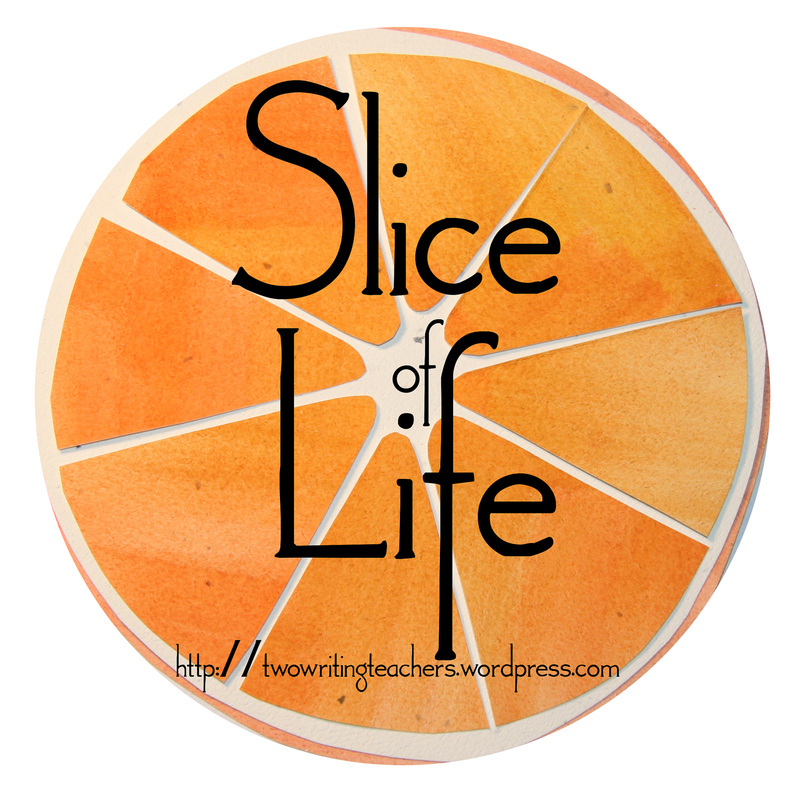 I love how you wove it into a slice for us, too! I had a little pie from Der Dutchman this week too. I chose chocolate - peanut butter. I'm sure those peanuts are good for me.